Comprehensive review of Sunless Science Multi Action Self Tan Lotion. See what real experts and actual users have to say about this self tanning product. So, I gave Sunless Science Multi Action Self Tan Lotion 2 out of 5 stars. There isn’t much I like about it, except the color it produces. I got a medium shade tan that was natural and even looking. Although, it wasn’t as dark as I like to be. The smell, drying time and application process all left a lot to be desired. So overall, the is a sub par product and I gave it 2 out of 5 stars. 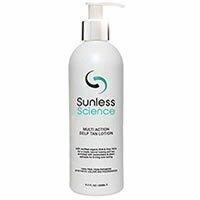 Sunless Science Multi Action Self Tan Lotion is a very thin, watery, white colored lotion. I really didn’t like the texture because it was SO thin it was hard to work with. It was white in color, so you can’t see where you’re applying it on your skin. Application was a lot messier than it should’ve been seeing as this is a white colored lotion. The lotion is so runny that it got all over the floor when I applied it, even though I used a tanning mitt. You don’t absolutely have to use a mitt with this one, because it doesn’t have a dark guide, but if you don’t use a mitt the product will run right through your fingers. The consistency of this one just isn’t good at all and makes for a tedious application process. 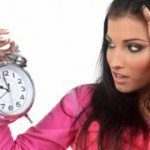 You also have to take your time and make sure you’re getting every nook and cranny because there is not guide at all to see where the product is going. This product was SOOO sticky, and I felt like it never completely dried. I woke up in the morning still feeling it on my skin. I hated that this lotion never dried, it felt so yucky. Sunless Science Multi Action Self Tan Lotion smells so bad. It smells like pure DHA coming out of the bottle. And for those of you who don’t know, DHA smells sour and gross. The DHA smell became stronger and more sour for a few hours after application. It was pretty strong smelling, and I couldn’t stand it. By the next morning, the smell has dissipated but was still there a little. Once I showered off the gross smell the next morning, I had a medium shade tan. My tan was natural looking and not orange, which I liked. It wasn’t a super dark tan, but it got the job done and I was about 2 shades darker. I liked how even my tan was and I wasn’t streaky at all. My medium shade tan lasted about 3-4 days before starting to fade. As it faded I did get some patches that didn’t look good. I don’t think men will care for this one. It does give a nice, medium tan, but that’s the only good thing about it. There are other products out there that give nice tans and smell better. Sunless Science Multi Action Self Tan Lotion is $3.52 per ounce, which isn’t bad. But the price goes up after adding in shipping costs, and to me it’s not worth it. To buy Sunless Science Multi Action Self Tan Lotion, Click Here. Drying Time It never completely dried and was sticky. Color Produced I got a medium, natural tan. How Long It Lasts It faded after about 4 days. OK For Men? 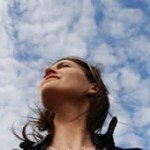 I don’t think men will like it. Price It’s $3.52 per ounce, which isn’t bad.